ComiXology, the digital comic reading platform, has been making great strides into the publishing market over the past year or two. They're playing host to some exciting creator-owned content, along with publishing original content under their own banner. As one of the very first big pieces of news to come from Comic-Con, ComiXology have announced a slew of brand new titles from some top of the line talent. With new series from the likes of Megan Kearney, Richard Starkings, Tim Seeley, and Sam Humphries, there are a lot of exciting new comics coming from ComiXology. Check out the details below. 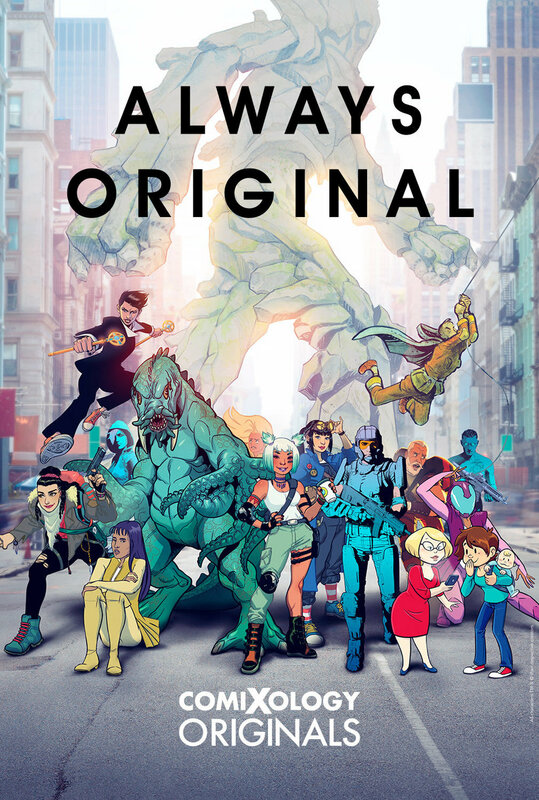 July 18st, 2018 – San Diego, CA / New York, NY – ComiXology, Amazon’s premiere digital comics service, announced today the creative teams and titles for the next wave of comiXology Originals creator-owned comic books and graphic novels, during a press event today at Comic-Con International San Diego 2018. Monsters will rise, cities will fall...but best friends are forever! Zelda, Eunice, and Juliet are three best friends: orphans of the Kaiju Generation, and adoptive mothers to their own baby Goliath! For years they’ve searched for the elusive King of All Goliaths, the one fabled to bring the Forever War to an end. But they’re not the only ones on his trail. 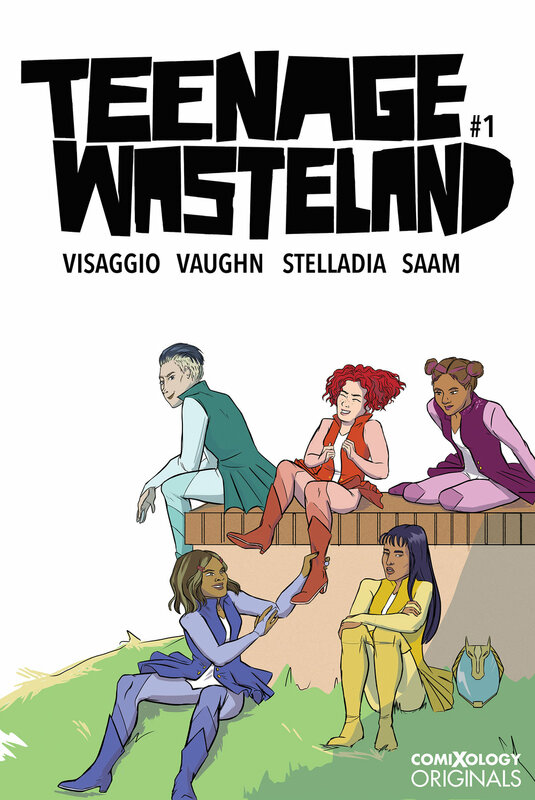 Hit Reblog: Comics That Caught Fire showcases the viral sensations of the webcomics world and the true stories behind their creators. Follow the ups and downs of internet fame, from IP theft to book deals, and all the trials of becoming an overnight sensation after gaining 10,000 reblogs in a single night. Learn about the origins behind the hit comic strips "This is Fine", "All Houses Matter", "No Take, Only Throw", and frequently-viral webcomics such as Owlturd, Cyanide and Happiness, False Knees, and Poorly Drawn Lines. Each of the twenty artists featured includes a biographical intro by award-winning comic artist Megan Kearney (Disney Princess, The Secret Loves of Geek Girls). These titles join Savage Game an original graphic novel created by NFL player Ryan Kalil, written by Shawn Kittelsen, with art by Chris B. Murray, Elephantmen 2261: The Death of Shorty issues #1-2 from writer Richard Starkings, and artists Axel Medellin and Boo Cook; and Ask For Mercy issues #1-2from writer Starkings and newcomer artist Abigail Jill Harding. In addition, Superfreaks, a debut series from co-writers Elsa Charretier and Pierrick Colinet, and newcomer artist Margaux Saltel with all5 issues released at once for bingeable reading, is available today as a digital collected edition. The first batch of titles are available on ComiXology now, with more to come soon.